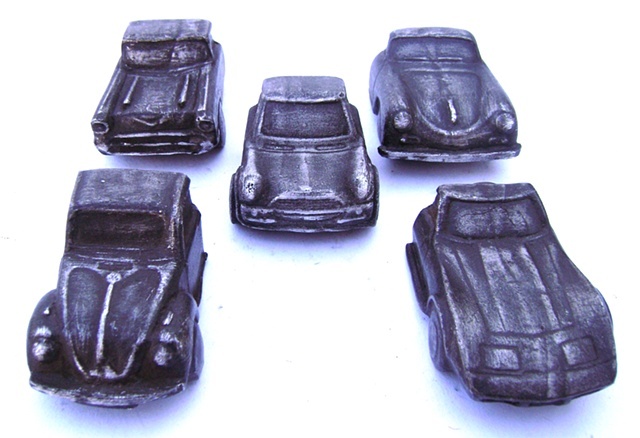 The mini cars pictured here are in cast aluminum, even though I have some magnets in cast bronze as well. As of 2012, I am also casting these in pewter. I cut the mini cars in half, hollowed out the back, and inset a magnet. Mini car magnets make any refrigerator look fabulous!